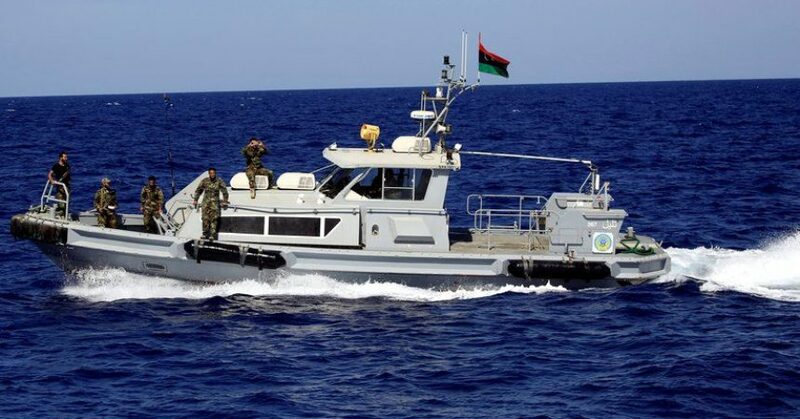 [June 29th, 2018 – Italy] Italy will provide Tripoli’s Coast Guard with 12 boats and could urge NATO to carry out a mission on Libya’s Southern border, both governative official and press sources have recently reported to the Italian public opinion. 12 Italian naval units for Tripoli’s Coast Guard. Indeed, the official statement of the 7th Council of the Italian minister reported on June 27th the Council had “reviewed and strongly agreed on in its political meaning the text of two implementing decrees soon to be approved”, one of which was “the one about the handing over of Italian naval units to the Libyan Coast Guard in order to increase its operating capabilities over control and security”. The statement does not details the number of the naval units, yet Italy’s Interior Minister Matteo Salvini tweeted, later that day, they’ll be 12. National, EU funded, or NATO mission. Evolution of an Italian military mission to Libya’s Southern border. Then, according to the Italian journalist Umberto De Giovannangeli from the news outlet Hufftington Post, who quotes anonymous diplomatic sources working on the Libyan file in Rome, Italy could also urge NATO to carry out a mission on Libya’s Southern border. It’s been more than a year rumors of an Italian mission in Fezzan’s Southern area have spread. In May 2017 Rome’s Defence Ministry rejected rumors of any national mission called “Deserto Rosso” – “Red Desert” – stating that “no operative hypothesis exists over that”. Then, in September 2017 the Italian – Libyan committee on illegal migration agreed on the need to control Libya’s Southern border through an Italian, EU funded, project. On June 27th, 2018, journalist Cristiana Mangani from the news outlet Il Messaggero reported a technical mission would have left Italy the following day to a survey in Ghat, a town in the South Western Fezzan that Italy had reportedly used as a logistic base to rescue two Italian workers kidnapped in 2016. No mention of a NATO mission can be found in the Messaggero‘s article, albeit Umberto De Giovannangeli wrote then, on June 28th, it is an option Italy is definitely considering: the July 11th-12th NATO meeting could be the right occasion for Rome to talk about that with the military allies, his article reads. Asked about Italy’s reported proposal by Between Libya and Italy, NATO’s press office has not replied, yet, at the time of writing. The fresh Italian government lead by PM Giuseppe Conte has called on NATO to support Italy in Europe’s Southern border, that mostly means Mediterranean and Libya. Interviewed by La Repubblica‘s journalist Giampaolo Cadalanu, NATO’s Secretary General Jens Stoltenberg said, last June 24th, he “would welcome any support Italy may offer [over Libya], yet it’s up to the Italian government to decide”. The mission in Ghat might mark an early stage of that “support” in a NATO framework; yet, Abdul Kader Assad from the Libya Observer reported yesterday gunmen from the Council of Tribes, the news outlet describes as gaddafists, would try to impede the Italian delegation from landing to the Ghat’s airport as they strongly oppose any Italian presence in the area. Presence that, at the countrary, the local municipality has reportedly welcomed. Updating the outcomes of the technical mission, Il Messaggero‘s Cristiana Mangani reported today that, despite the announced opposition, “the survey has been carried out but it will be no easy job”. *Updated soon after the publication with the news of the outcome of the mission to Ghat.